operational issues to benchmark, learn together and collaborate. 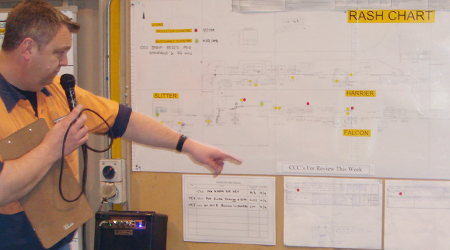 Where possible, most activities occur on member sites and include shop floor/Gemba visits. Member companies, as part of their Best Practice Network memberships, are invited to host these activities and share their journey to excellence. Formal processes capture key learnings for the visitor, as well as valuable constructive feedback for the host, in line with our mantra – share and find better ways. A yearly survey will capture member feedback and will ensure that ongoing activities, interests and networking processes are relevant to member needs.